No matter what industry you’re in, chances are there is a corporate event or trade show that provides you with a chance to highlight your successes as a business and swap business ideas with other leading members at least once a year. Your expenses can be substantial in regards to the money spent on travel expenses, booth space, and marketing material, as well as time spent on planning and organizing. So how do you get the most out of attending a trade show and ensure that you’re able to recoup some of your losses through growing your business? You can start by hiring a trade show logistics company! Read on to find out valuable tips on how a trade show logistics company can help you save time and energy that you can put into doing what you do best: marketing your business. A trade show logistics company can help you save valuable time and energy that you can put into doing what you do best: marketing your business. 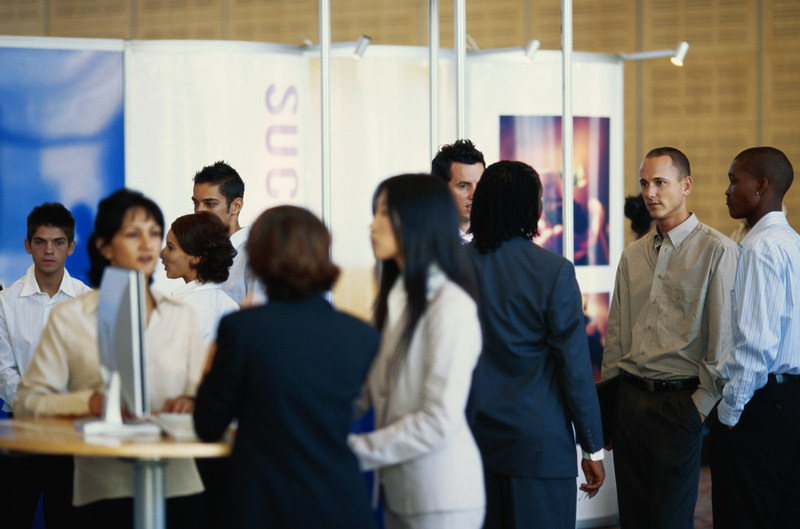 So you want to attend a trade show with your business. You’ll not only need to decide the right one to attend, you’ll also have to develop a plan to get the most out of your investment. Do your research ahead of time to decide which trade show is in alignment with your company’s goals. Look for relevancy to your industry and see if you recognize any big names or the names of potential partners, clients, or competition. Decide what you want to get out of the experience: do you want to build up your marketing lists (newsletters, social media followers), meet clients and investors, or just increase your company’s exposure? Planning ahead and choosing the right market and goals are essential to getting the most out of the experience. A big part of planning ahead is figuring out how and when you’ll have your exhibit delivered to the show. If you have large, expensive, or heavy pieces, it may not be practical or even possible for you to handle the delivery on your own. Trade shows operate on a very strict timeline and if you are unable to meet deadlines, the whole show can be ruined. You need to focus on marketing your business at the show and generating results for your company. Hand over the time-consuming aspect of meeting the shipping deadline to the logistics experts, who will be able to handle it in a flawless fashion and leave you stress-free. This entry was posted on Friday, July 31st, 2015	at 8:14 am	and is filed under AFP Expo	. You can follow any responses to this entry through the RSS 2.0	feed. Both comments and pings are currently closed.